Product prices and availability are accurate as of 2019-04-21 10:46:27 UTC and are subject to change. Any price and availability information displayed on http://www.amazon.com/ at the time of purchase will apply to the purchase of this product. 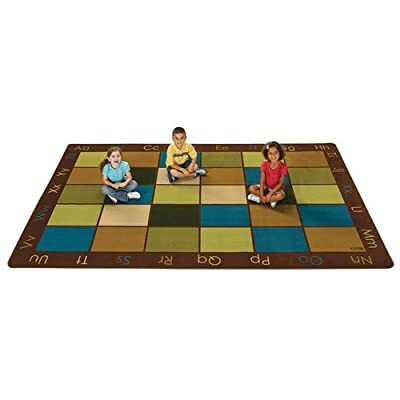 18112 rug size: 7'6" x 12' features: -great for classroom organization.-Perfect place for children to sit on and have plenty of wiggle room.-Surrounded by a literacy border.-Lifetime anti-microbial protection.-Origin: U.S.A.. warranty: -lifetime abrasive wear warranty.